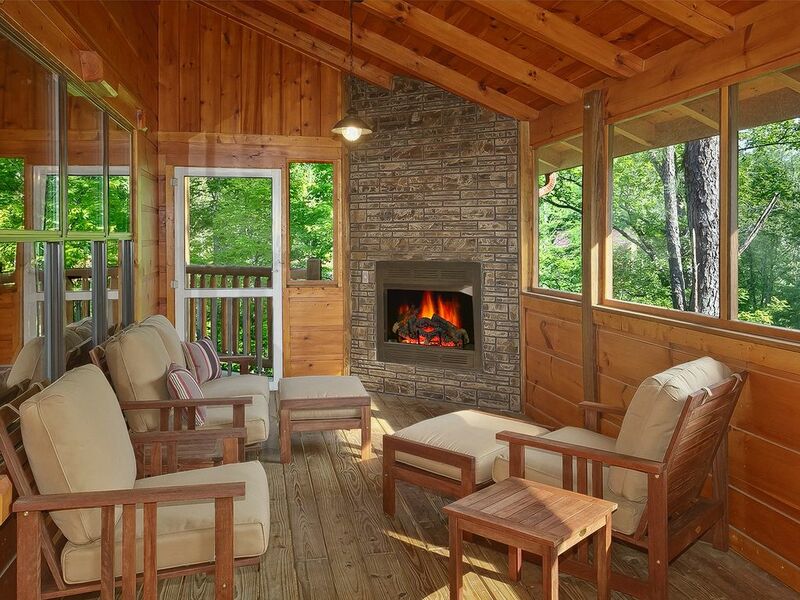 Not many cabins have a screened in porch where you can enjoy sitting outdoors in the spring, summer or fall. Wait...you can even enjoy it in the winter with its own outdoor fireplace. There is plenty of seating for outdoor living including rockers, recliners and a dining table. Or perhaps go inside and enjoy relaxing in front of your gas fireplace, shoot a game of pool, or watch a free movie on netflix on your 60' HDTV.